Intensive Suit Therapy (also known as TheraSuit Method or Adeli Method) utilizes the benefits of a unique therapeutic suit, a breathable dynamic soft proprioceptive orthosis. It consists of a vest, shorts, knee pads, shoe attachments and a hat, which are fully connected by elastic bungies to realign and load the body. The suit aligns the body as close to normal as possible, re-establishing correct postural alignment and weight distribution which is crucial in normalizing muscle tone, sensory and vestibular functions. Essentially, this suit serves as an external skeletal support. Intensive Suit Therapy is a specific set of exercises, along with the number of repetitions and kilograms, designed to restore proper patterns of movement and challenge the vestibular system. The Universal Exercise Unit also known as Spider Cage is used to isolate muscles and strengthen specific muscle groups for functional movement patterns by use of a pulley system. It works to improve range of motion, muscle strength and joint flexibility. The unique combination of the Suit and the Universal Exercise Unit stimulates the brain to re-train the Central Nervous System and create neurogenesis. The developmental progress of a child is thereby accelerated in the areas of sensory processing and motor skills, through strength, flexibility, endurance, balance, coordination, vestibular, and enhanced functional skill training. Our Intensive Suit Therapy follows a specific protocol of intensive exercises in a repetitive format using a special suit to align the body while connecting the upper and lower body, left and right sides. This protocol establishes correct posture and weight distribution. 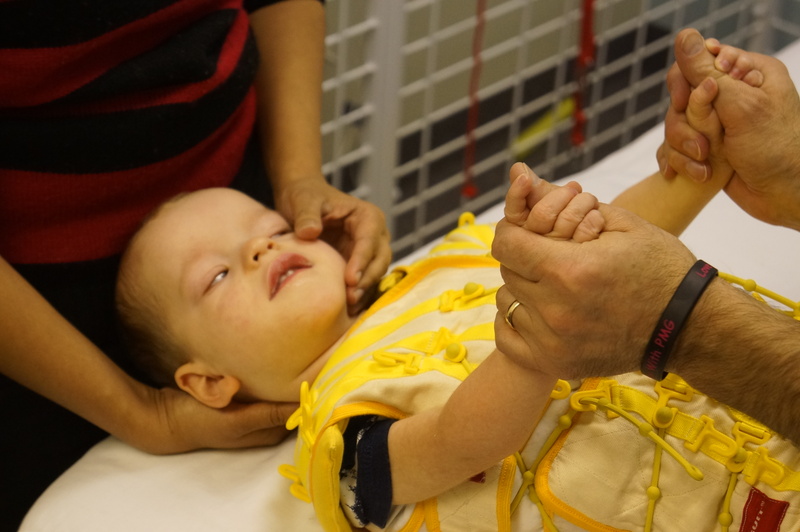 The connection of the body through elastic bungies aids in sensory signals to the brain as each specific movement is enacted by the patient and led by our specially trained physiotherapists. 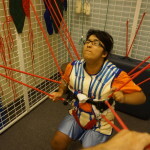 The premise of the suit is to take pathological reflexes and transition them into functional movements. As a result patients are able to develop skills to train and retrain the brain, allowing movement to become both normalized and automatic. Its physio with a boost! Exercises, the number of repetitions and resistance levels are customized to the individual. Our specialized therapists perform an assessment to customize the program based on individual need. Our unique program combines the benefits of Physio, OT, Massage and optional Speech Language Pathology to achieve the body’s natural healing process. Parents can also choose to add the benefits of Hyperbaric Oxygen Therapy to complement the Suit Therapy. Our families have seen significant gains and benefits in their children/family members, as well as for themselves. The intense nature of the treatment lends itself to a rapid acceleration in the progress of a child with Cerebral Palsy. In fact, by the end of the 3rd week, parents are extremely likely to observe feasible positive changes in their children, and in many cases – quite significant improvements of their motor functions and general performance. It has been discovered that children who undergo intensive therapy acquire important developmental skills such as rolling, crawling, sitting, standing and walking, which they may not be able to achieve with traditional therapy or would take many months or years to achieve. It can potentially eliminate the need for surgeries that a child may have to undergo to fix contractures. Risks of deterioration/exacerbation of the condition of a child could be averted by following this intensive protocol. An important benefit to note, would be that a parent may save the huge long term costs of long term care and assistance, extra aid over the years, house and bathroom modifications, and/or hi-tech wheelchairs and their additional modifications. The effectiveness of this intensive therapy could drastically improve the child’s quality and enjoyment of life, not to mention provide significant peace of mind to the parents. 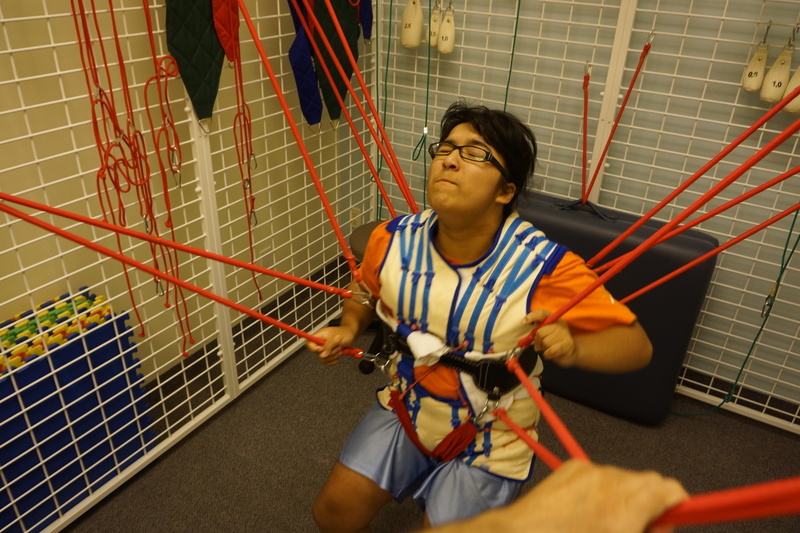 Intensive Suit Therapy is effective not only with cerebral palsy, but also with post-stroke patients, those with acquired brain injury, autism spectrum disorder, as well as other neuromuscular disorders. Combining Intensive Suit Therapy with other therapies increases the probability of overall improvement and is highly advisable. These would include Hyperbaric Oxygen Therapy HBOT (Revivo offers a special package program incorporating both Suit Therapy and HBOT), Speech therapy, Nutrition, Biofeedback therapy and others. Read our publications on how Suit Therapy may be beneficial for medical conditions listed on the right hand side of this page. All consultations, whether over-the-phone or in person, are indeed free. Initial (Intake) Assessment conducted by our therapists could take 1 to 2 hours and costs $100 CDN. The assessment will provide you with a detailed prognosis of what you and/or your child should be expecting from the therapy and set the goals. Intensive Suit Therapy costs depend on the approved individualized protocol and are based on $122 CDN per hour of therapy. Since the therapy is conducted by certified/registered therapists significant portion of the total costs can be claimed under extended health care plans or private medical insurance. Special Promotion: Therapies with start dates January 1 through February 28, 2015 are eligible for special HBOT promo upgrade – fifteen 1-hour sessions of Hyperbaric Oxygen Therapy included at no extra charge.